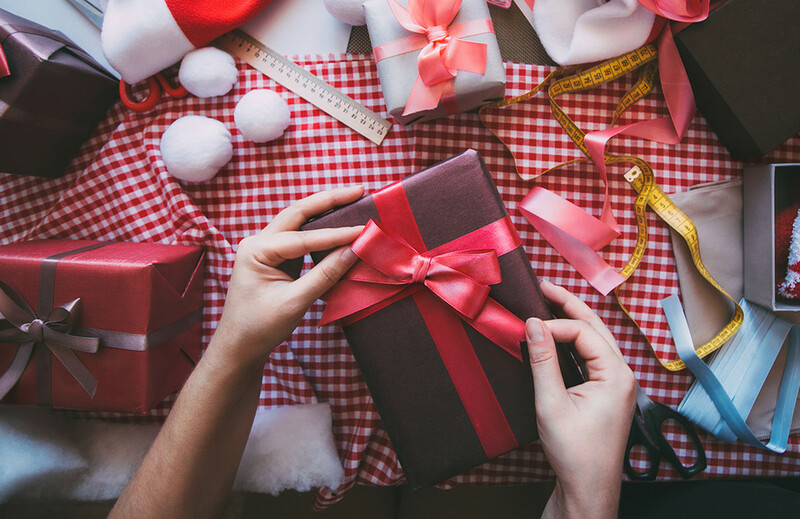 Whether you’re looking to revamp your photographer toolkit or are simply looking for some creative gift ideas, here are our top deals for photographers this holiday season. Any order placed on Black Friday can use the code SmartAlbums15 and get 25% off! SmartAlbums customers exclusive! 35% off all albums. SmartAlbums customers exclusive! Leather Craftsmen Black Friday Special: Order any Flush or Matted Style album on Black Friday* using Pixellu SmartAlbums software and receive a $25 discount. Use Promo Code BlackFriday25 *(Order must be received on Friday, November 27, 2015 between 12:00am and 11:59PM EST) SmartAlbums customers exclusive! Get 20% off Album99 with free Ground Shipping from Thanksgiving Day thru Cyber Monday. Use promo code: NPLSABLK. Free shipping applied automatically. Cannot be combined with other offers. SmartAlbums customers exclusive! Névé is offering 20% off all albums (and sample albums) to new and current SmartAlbums customers. And to photograph your new beautiful book, get 20% off of all styling boards, along with a free cotton shoulder carry bag. Just use coupon code 'SABF2015' at checkout. SmartAlbums customers exclusive! Whether you want more time to spend with your family or to work on other areas of your business, outsourcing your post-production to The Image Salon is the most efficient way to get some of that precious time back without sacrificing the quality of your product. Get 15% all orders placed before November 30th. Get the clean film look you crave! Save 40 - 50% on all Mastin Labs Preset Packs during the Black Friday Sale. Sale starts Nov 23rd and ends Nov 30th. Don't miss out! RAW Digital and Film Lab, the premier post-production service, is offering one complimentary full Black + White set to new clients. Use the discount code SA-RDFL-BLACKFRIDAY. Valid until December 23rd 2015. Flothemes is offering a 25% discount on all themes. Don't miss the chance to get an elegant, responsive and fully customizable theme for your website. Use code FRIDAYFLO at checkout. Valid November 27-30 only, get up to 60% off Táve by prepaying for your subscription during the Black Friday / Cyber Monday sale. Valid for new and existing users. Pixifi's Black Friday deal is 15% off three or more months of service. If you're not yet a customer you can use the coupon code "pixellu" to get a 3 month free trial! Save 60% on your first year of ShootProof. Black Friday through Cyber Monday, deal reduces each day 60%, 50%, 40%, 30%. Two amazing Black Friday deals. First - sign up and share to get $1,000 off credit card processing. And second - major discounts on Founding Member plans. Learn more at www.agree.com. Grow your business with these tried and true business and marketing guides. Up-to 85% off. Enter for a chance to win free product and consultation. Imagely, the WordPress photography company, is offering 40% off it's powerful NextGEN Pro WordPress gallery plugin and the epic Photocrati WordPress theme for photographers. To celebrate the upcoming launch of their turnkey WordPress websites for photographers, they're also offering 3 months free website hosting to anyone who signs up pre-launch. Salesographer is the definitive course on In-Person Sales for photographers, teaching you everything you need to know about pricing, presenting and selling your work, without feeling like a salesperson. Provides a curated list of Black Friday deals for photographers. Enter a drawing to win your favorite items for free. Take 50% off the brand new Business Brilliantly 8 week course. This course will help you create that Storytelling Marketing plan for your blog and your social media that will get you the attention you deserve. Register by November 30, 23:59 PST time. You will automatically receive a voucher code worth $100 valid for orders of Albums, Event Books, Matted Prints, AE Frames confirmed by March 31 with no limitations in terms of format, style, paper type, model, pages. From Artisan Craftsman Books, now through December 31, 2015 get 50% off custom clamshell cases with any book order. Bay Photo Lab is offering 30% Off Wood Prints, Canvas Prints, ThinWraps and Large Photo Prints. Choose what suits you or your clients best, and save through Cyber Monday! Burrell Imaging’s Big 4 Day Black Friday Sale – Save 25% off on all Print Wraps, all Gallery Wraps, all Thin Wraps, all Float Wraps and all Press Products. Insert the discount code TURKEY in the Special Instructions section when placing your order. Not a Burrell customer? Visit BurrellImaging.com to open your account and begin ordering. This sale cannot be combined with existing offers and does not include Print Wrap Wall Collages. Christmas is definitely coming around the corner, but you’ve still got some time. To get you up and running for everything relating to the holiday season, nPhoto is offering 50% off all products till the end of the year. This year the tradition of Black Friday marries Venice Album. Order Tokio album and a Box for only $99.00!